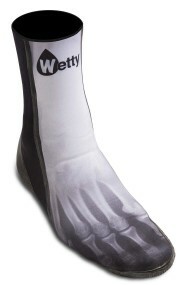 SURF BOOTS 5MM PRO SERIE WETTY "CARBON"
The most accomplished and technical neoprene slipper. 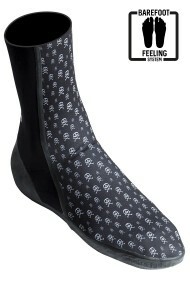 Ideal for sliding sports (surf, sup, kite, funboard, wakeboard......). - Composition: 90% Neoprene 10% jersey. 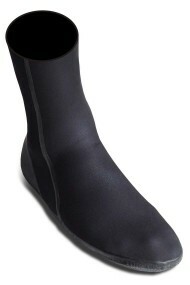 - LIMESTONE neoprene based on limestone, warmer, softer and ECO-friendly. 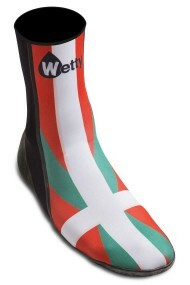 - Ultra thin sole in SPECIFIC LATEX. - Galvanized and sealed latex seams. Why is this the best neoprene slipper? 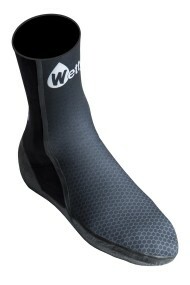 The WETTY PRO SERIE model is the most successful Neoprene surfboot because we have worked on the pattern with our SLIM FIT cut. This cut allows the shoe to be adjusted to all feet. The foot does not move at all and allows more precision for demanding riders. 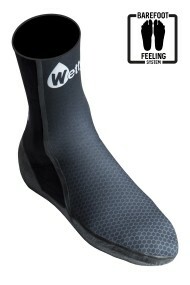 Latex on the kick allows an increase in temperature for KITESURF and WINDSURF riders. 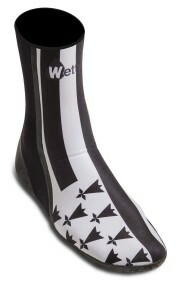 Latex has a "windproof" effect. We use the best technologies to achieve the best ratio between heat and flexibility. These ultra high-end winter surf shoes are made with the best high-tech materials such as Japanese LIMESTONE Neoprene and the use of LATEX NATURAL which makes the seams stronger and more waterproof at the seams. SURF BOOTS 5MM POLAR WETTY "Carbon"
SURF BOOTS 3MM WETTY "Carbon"
SURF BOOTS 5MM POLAR WETTY "Black"
SURF BOOTS 3MM WETTY "Newskull"
SURF BOOTS 3MM WETTY "BZH"
SURF BOOTS 3MM WETTY "Bask Country"